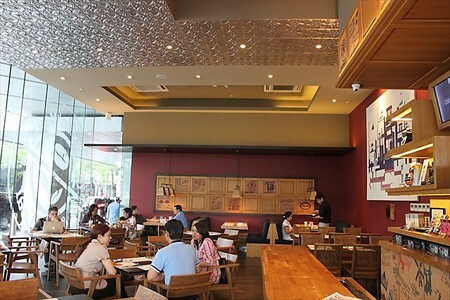 Once upon a time, The Coffee Bean & Tea Leaf (CBTL) was known for their lattes, muffins, and their Eggs Benedict. 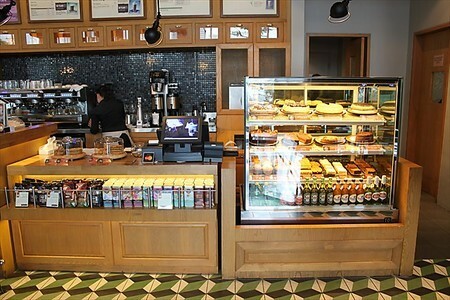 Or, for me, at least, that was the extent of my CBTL dining experience. Until, a visit to 26th St. 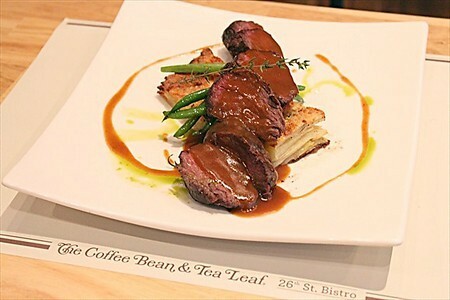 Bistro by The Coffee Bean & Tea Leaf, located in Net Lima Building, on the corner of 26th St. and 5th avenue in BGC at Fort, changed all that. Unlike the normal CBTL coffee shop, 26th St. Bistro is bigger, exuding a vibe that is both cozy and inviting. The chairs and tables are wooden, blending in with the subdued lighting of the place; the floor tiles have a retro pattern reminiscent of the 1960s. 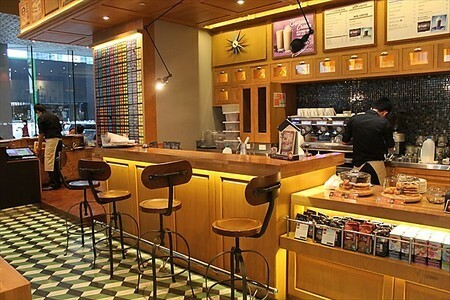 By the barista’s area is a row of bar stools perfect for eat and run commuters; with a selection of cakes and pastries beckoning to you, not far to the right. I see 26th St. 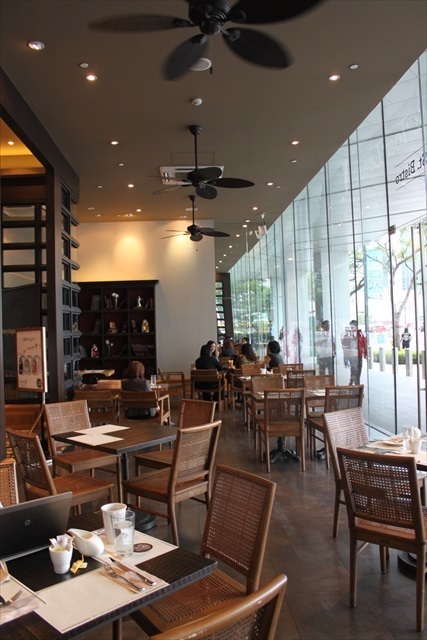 Bistro as a place for friends to unwind after work or a party, a writer’s lounge conducive to producing a few pages, and the perfect brunch place for couples and families, whether on a weekend or a weekday. Their all-day breakfast menu seals the deal, because 26th St. Bistro is open from as early as 6:30am, and closes at 1am. 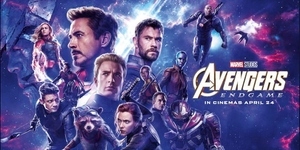 So, that means you can go wild and stuff your face with French Toast or US Angus Tapsilog even after midnight, and then wash them all down with a cup of coffee and tea, which is included with every breakfast meal. 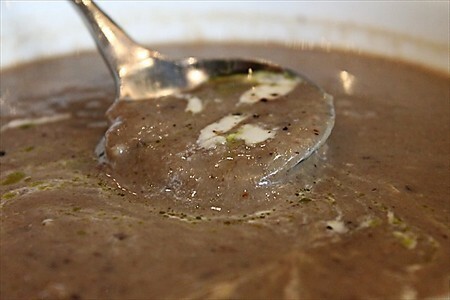 Aside from the all-day breakfast, their menu also offers other delectable choices such as the very flavorful Wild Mushroom Soup (P225), made with three kinds of mushrooms: button, shitake and Portobello. Served with sesame seed grissini, the soup is truly comfort food, like a brew to soothe a headache or make a bad day better. Follow up with a plate of Hanging Tender Steak with Potato Gratin and Marsala (P475), and you will know that 26th Bistro is really more than just a café. 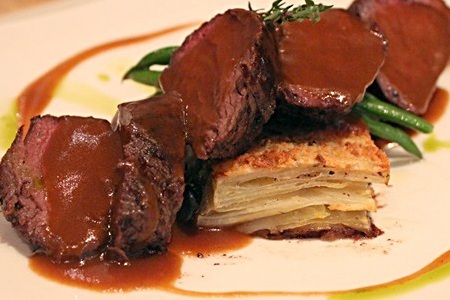 Delicately coated with marsala sauce, the meat is pinkish brown and soft to the bite. It’s nestled atop thin layers of beautifully-browned potato gratin. Filling and very satisfying, this dish will have you wiping with a forkful of potato every drop of marsala sauce from your plate. 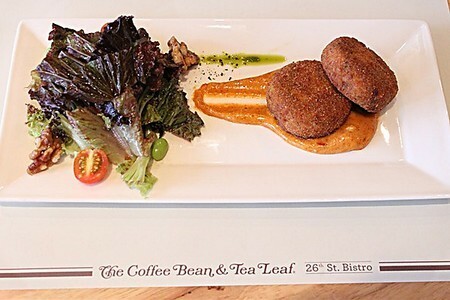 For non-meat eaters, seafood options are also available, such as the Salmon Fish Cakes and Greens (P345), which is pan-fried Norwegian salmon, served with smoked paprika aioli and mixed greens drizzled with balsamic vinaigrette. 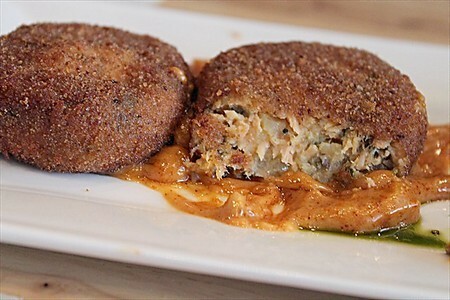 The salmon cakes are crisp outside, soft and dense inside, without being oily at all. They’re already good even without the smoked paprika aioli, but for contrast in flavour, dip a forkful of fishcake in the thick dressing. 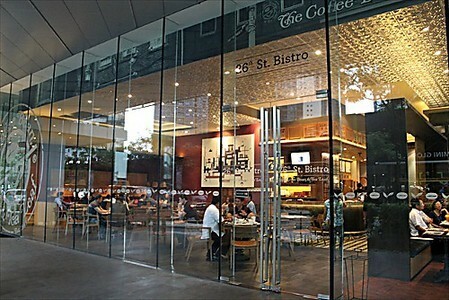 Sandwiches and pasta dishes are also present in 26th St. Bistro’s menu. 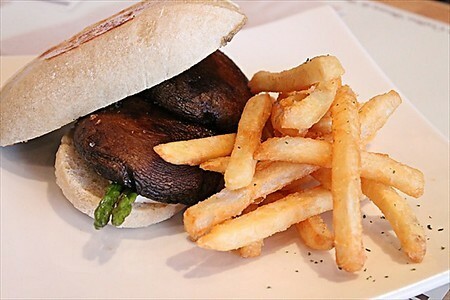 They have good burgers, but if you want to feel less guilty, try the Portobello Mushroom Ciabatta (P395). 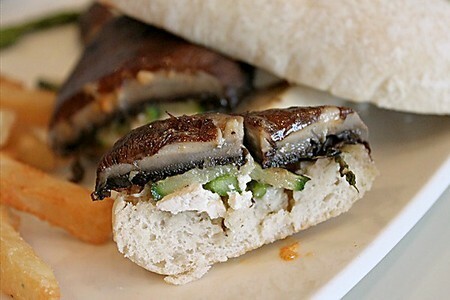 Inside the toasted ciabatta slices are two pieces of thick, succulent Portobello mushrooms. You may find yourself swearing off beef even for just a few hours, because this alternative is as good, if not better. 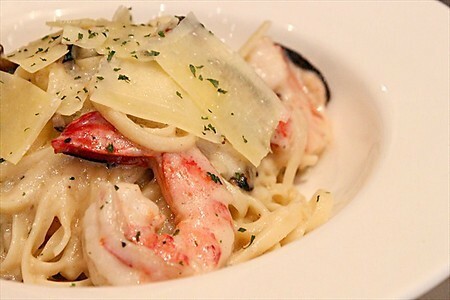 One serving of their pasta dishes is good for two, or one really hungry diner. 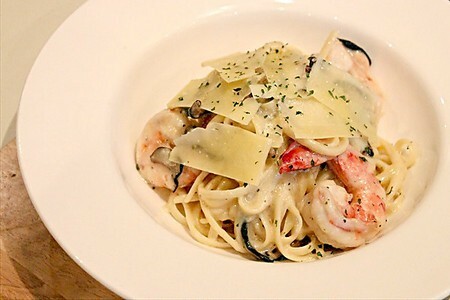 Try the Tiger Prawn & Shiitake Mushroom Linguine (P395), which is white sauce-based linguine pasta served with seared tiger prawns and shiitake mushrooms. It is proof that anything with mushroom tastes amazing. Thrown in some plump tiger prawns, and you get a hearty meal, which you may not want to share, after all. The great thing about dining at 26th Bistro is you can always cap your meal with a freshly-baked dessert (or two) and be certain that it will be excellent. 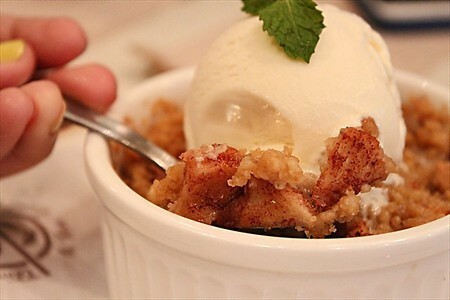 Try the Apple Crumble à la Mode (P235), which will bring you memories of childhood, if not make you squeal like a child with every crumbly spoonful. 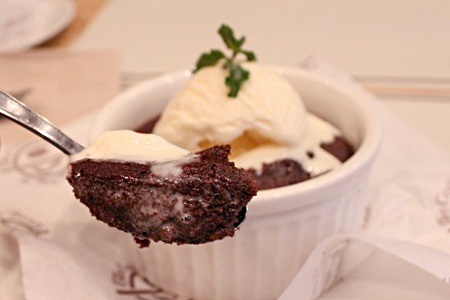 The Choco Lava à la Mode (P235) also lives up to expectation, with the melting of cold vanilla ice cream and dark warm fudge never failing to satisfy. 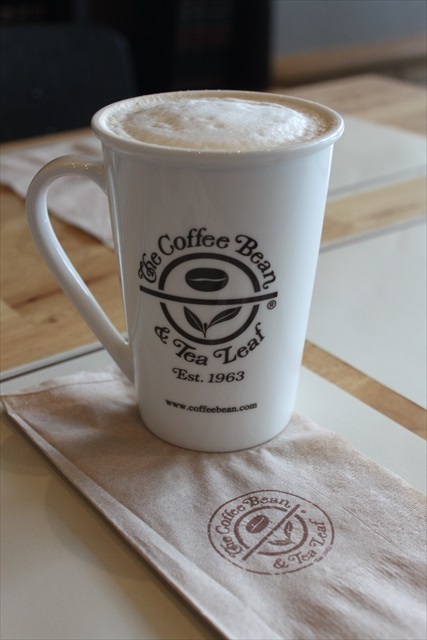 “Our goal is to deliver an ‘#everydayextraordinary’ experience, and we do this by transforming everyday meals into extraordinary dining experiences, at prices you can afford every day,” says Walden Chu, president of The Coffee Bean & Tea Leaf® Philippines, the brand’s local franchiser. As I sip on my Moroccan Mint Latte, in between bites of apple crumble, I look around and savor the ambiance—there’s an unmistakable air of good vibes and comfort amidst the chatter of people conversing, drinking frothy blended drinks and munching on muffins. 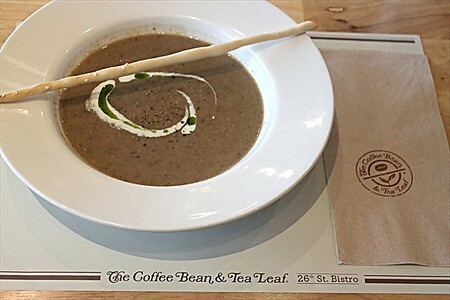 If any given day can be made this magical with good company, a cozy ambiance, and great food, I’d say The Coffee Bean & Tea Leaf has definitely succeeded in making everyday extraordinary.